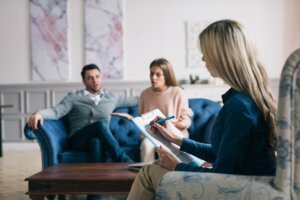 Strona główna » Kiedy warto zdecydować się na psychoterapię dla par? » Professional psychologist conducting a consultation. Professional psychologist conducting a consultation.